Logging in to You'reOnTime is easy, just follow these simple instructions. 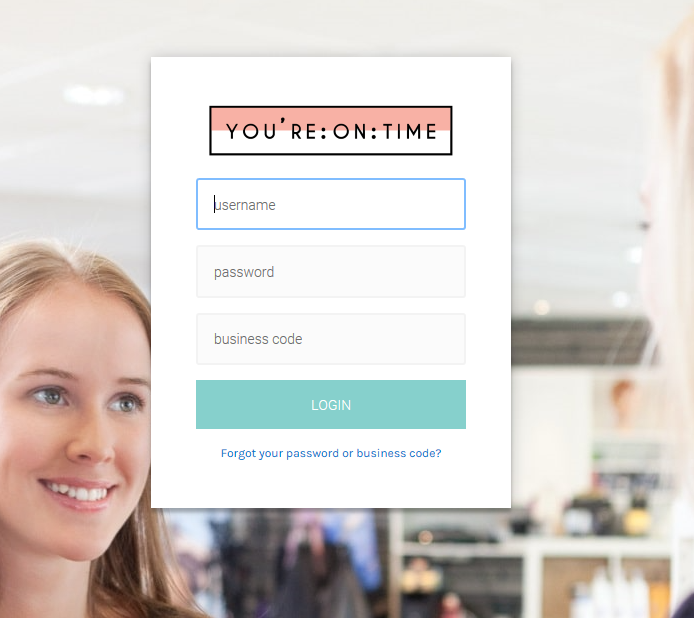 Type in your Business Code that was supplied to you by YoureOnTime.com when you initially registered. Note:The default password for the manager account when you register is manager and the default password for the staff account is staff. When you initially log in you will be asked to change your password. The password must be at least 5 letters and 1 number and the same character not repeated four times. It must also not contain a commonly used password. Type in your new password again in the Confirm Password field. We now need to add the services you provide.